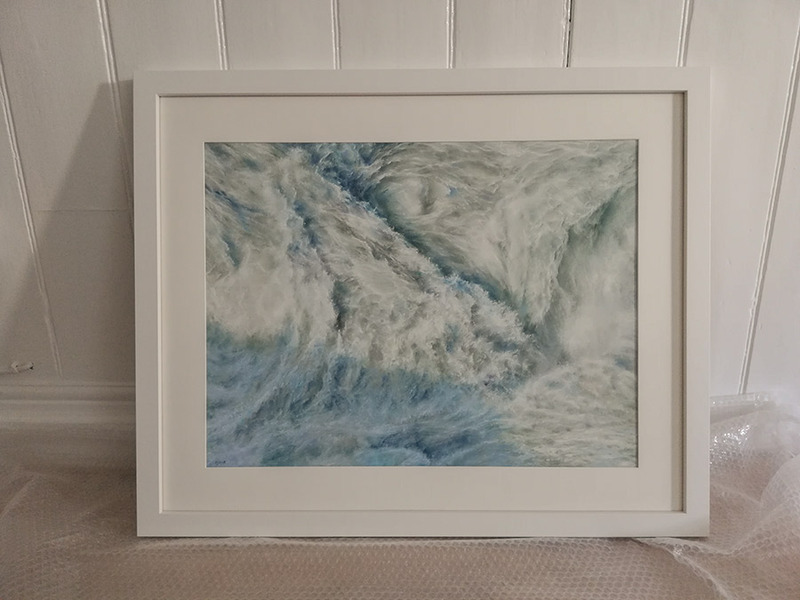 One of my soft pastel drawings, ‘Landfall’ ( 50 x 70 cm) has been preselected for ‘The Pastel Society’ Annual Exhibiton 2019, to be held at the Mall Galleries, London in February 2019. Preselection doesn’t mean that the work is as yet in the exhibition. I have to deliver the framed piece early January and will find out a few days later whether it has been selected to be shown. Quite excited though as I have only recently returned to using pastels this year. 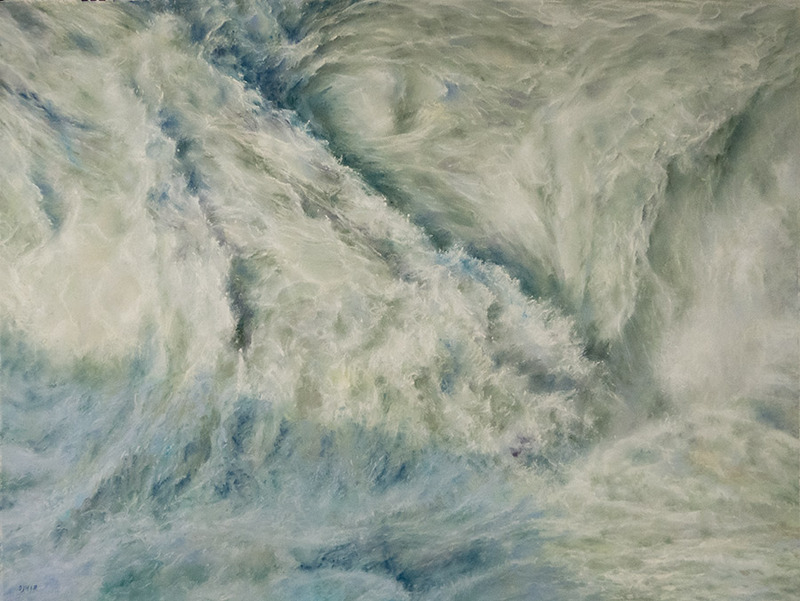 I find i love working with the medium as it has the immediacy of drawing, but with the workability of paint, and the joy of pure pigment colour. Will have to wait and see now if things progress any further. I delivered the framed drawing to the Courier this morning at 6:45 am, after an early, dark and very frosty drive across Devon to Exeter. Will find out in a few days whether it has been selected. The image is framed with archival mount, with non-reflective UV resistant Art Glass. In the end, the work didn’t get through the final selection preocess. So another trip back to Exeter next week to pick the picture back up from the courier. it was nice to get through the first stage though, and have the work considered.